This article explains the BACKTRACK error message “ERROR [S1000] [Microsoft][ODBC Visual FoxPro Driver]Fox Error 1 ERROR [IM006] [Microsoft][ODBC Driver Manager] Driver’s SQLSetConnectAttr failed…” and details how to fix the underlying problem that caused it to appear. This error occurs when BACKTRACK is trying to program a PDT with a BACKTRACK application that uses fields with Relations to external DBF files. If the DBF files are not mapped correctly in the Edit Item Structure screen, the message appears because BACKTRACK is unable to locate the DBF table and transfer it to the PDT. This can happen when BACKTRACK is backed up and restored to a different computer where the DBF files are missing or stored in a different location. To resolve this issue, go into the Database Maintenance > Administration Functions > Maintain Application > select correct application and then Edit > Advanced Edit > Edit Item Structure screen and check all fields. Each field should be verified to make sure that, if it has a Relation, that the relation table path is correctly set. 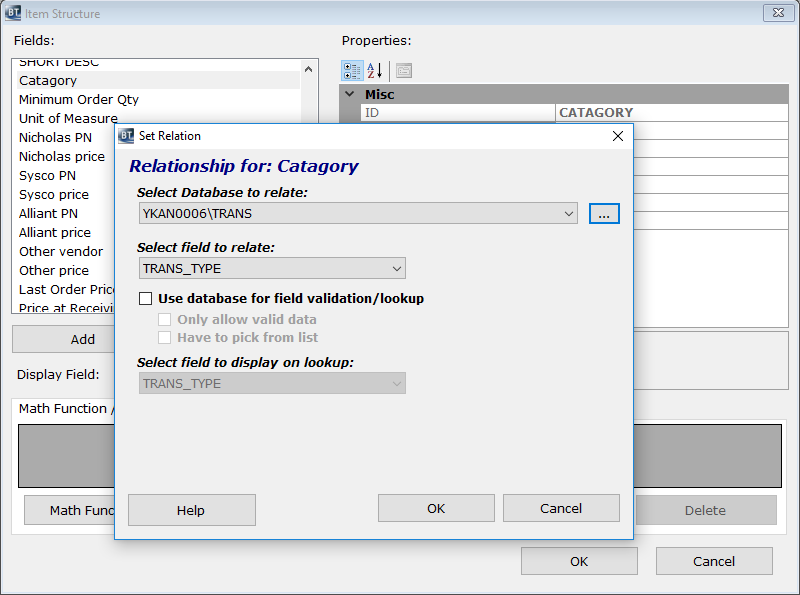 To be safe, you can remove and remap the field(s) to their relation tables.